7/31/14: St. Matthews Chamber 505 Event! Join us at Senor Iguanas St. Matthews on Thursday, July 31st at 5:05pm as we host The St. Matthews Chamber and members for a fun networking event! See you here! FREE BREAKFAST IN ST. MATTHEWS! DJ? Karaoke? Salsa? Pick all 3! OPEN JULY 4th to Help You CELEBRATE! Senor Iguanas will be OPEN this Fourth of July holiday…to help you kick-off the weekend and celebrate! This Father’s Day…DADS DINE SPECIAL! June Tequila y Cerveza Specials and More! June “Tequila y Cerveza Features” and More! Kick-off the summer right with something Fresh * Bold * Original at any of our five-area Senor Iguanas! HAPPY CINCO DE MAYO! 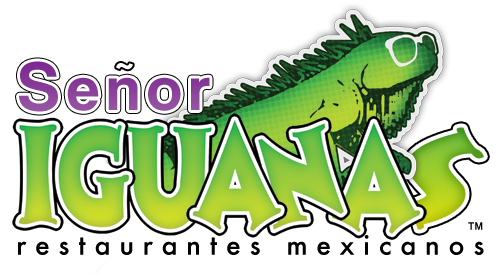 Celebrate the day at ‘Iguanas! * $2.99 House Margaritas * $2.99 Victoria Beer * $5.99 Corralejo Reposado Tequila * $5 Iguanas Tea * $1 Banana Burritos * Giveaways and more!